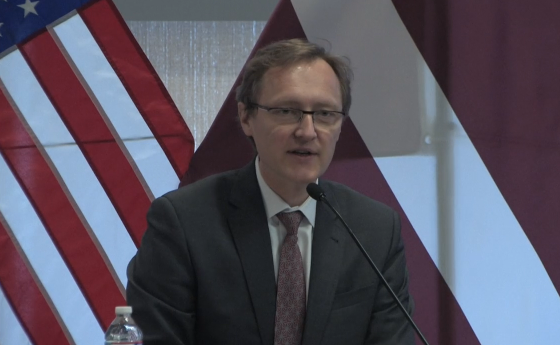 On March 12, 2015, His Excellency Andris Razāns, Ambassador of Latvia to the United States, delivered the State of the European Union Address as part of the Thirteenth Annual European Union Day's proceedings. Ambassador Razāns discussed a variety of topics, including current issues in the European Union and Eurozone, the conflict in Ukraine and European Union relations with Russia, the experience of Latvia and other Baltic countries as newer European Union and NATO member states, and Latvia's agenda for its six-month European Union presidency. You may view the address below or on the EUC's video library.